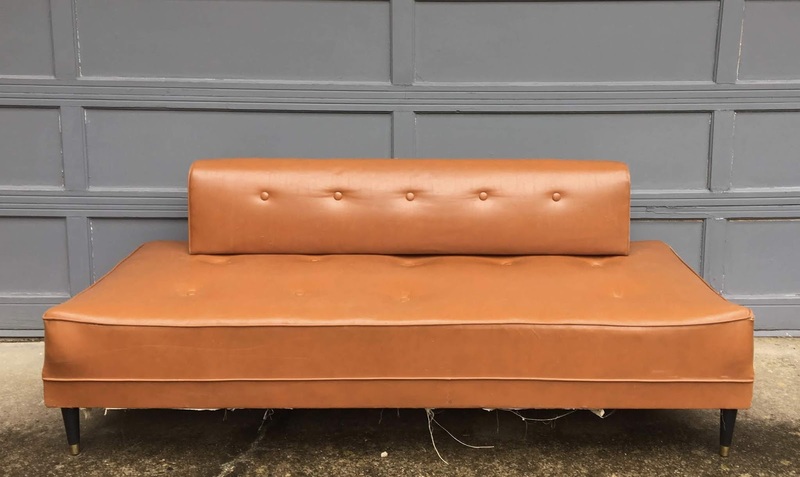 This week we found some amazing pieces of furniture. Three of them are already for sale and the last piece is awaiting upholstery. 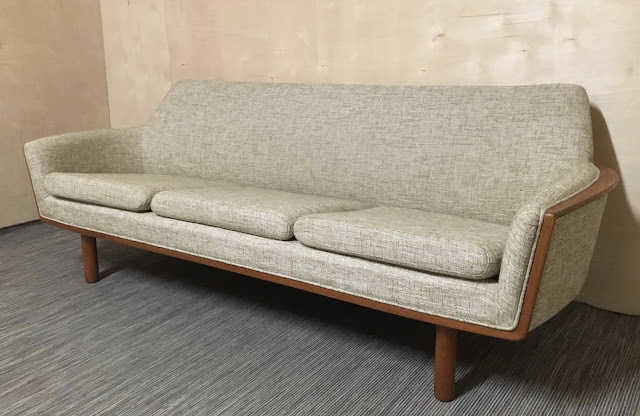 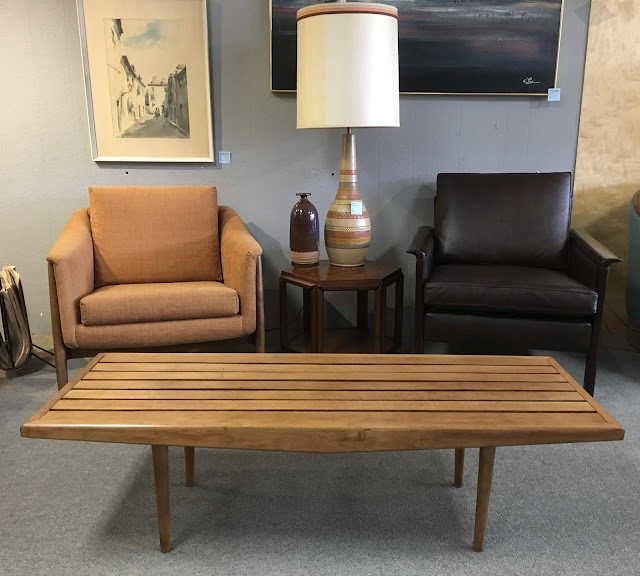 Amazing Danish teak trimmed sofa. 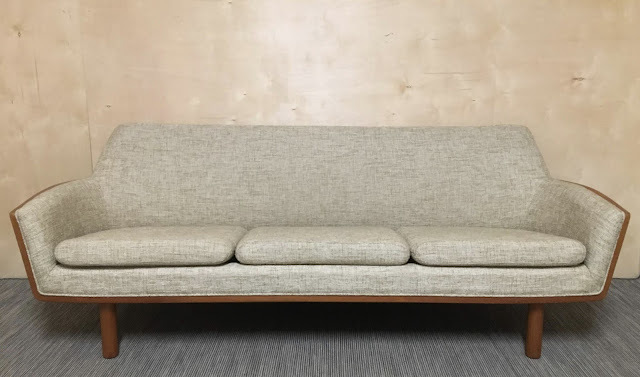 This sofa has amazing atomic lines and beautiful original upholstery. 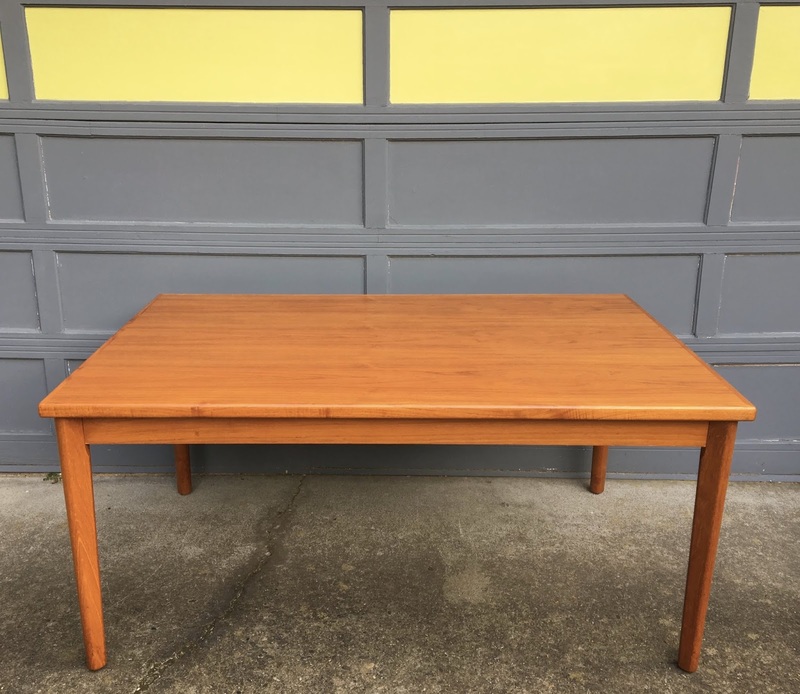 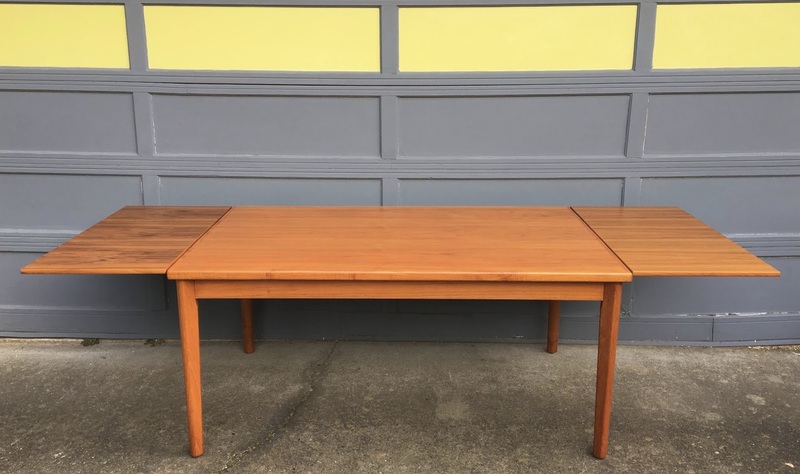 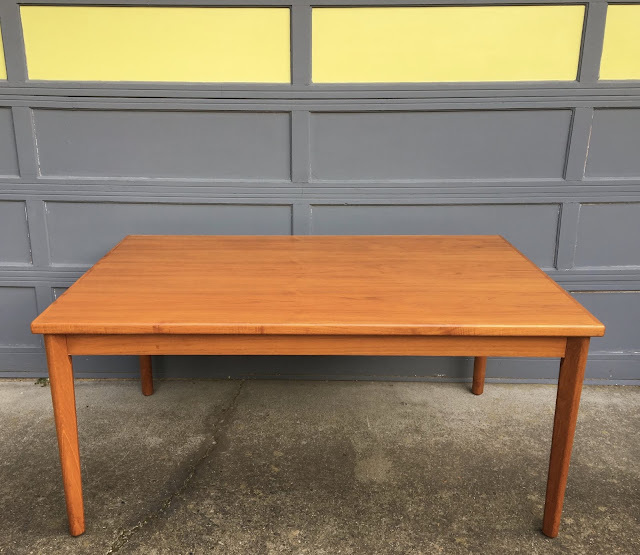 Newly reconditioned Danish teak draw leaf dining table by Henning Kjaernulf. Newly refinished beech slat bench coffee table.